Nothing beats a custom set of cabinets for a home-stereo system. 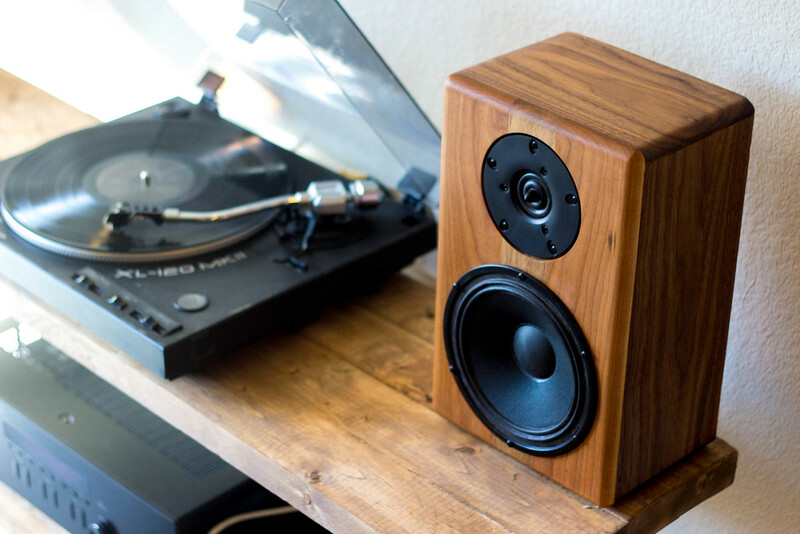 This pair of stereo monitors is made from Cherry and Walnut. Made with love and by hand in Maine, these units are finished with Tung Oil and completed with gold plated cable connectors in the rear. After initial research, the units took about two weekends to complete. Each houses a 1" Tymphany Tweeter and 6 1/2" Tymphany Midrange Woofer. A Dayton 2,500 Hz Cross-over handles the signal inside the unit. Paired with a turntable and top-notch receiver, these units will fill a room.